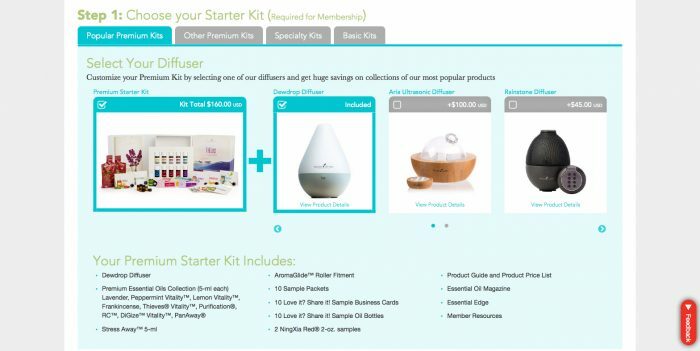 The very first thing I did when I decided to learn about and start using EO's is to order the starter kit. I wanted to buy them wholesale - I'm not a retail kinda person! Become a Young Living member and receive essential oils at a 24% discounted price. You don't have to purchase a certain amount each month, and you do not have to sell the products or promote Young Living. This is a great way to get your oils at a better price. Click here to be taken to the sign-up page. This will allow you to sign-up using my member number and be placed in my group where you can get support and more information as you learn about the essential oils. Make sure my number 1661441 is in both the Sponsor ID and Enroller ID fields. 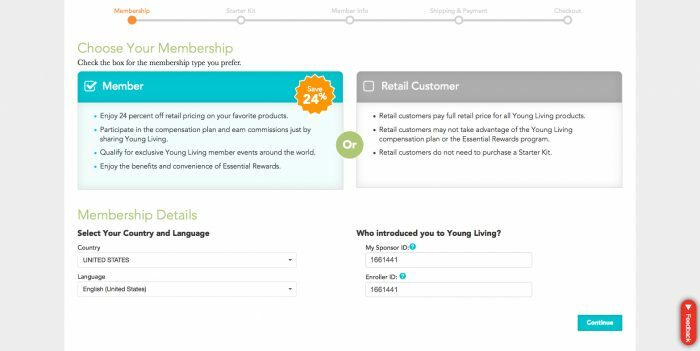 To enroll, choose "Member" to receive a 24% discount on all Young Living products. 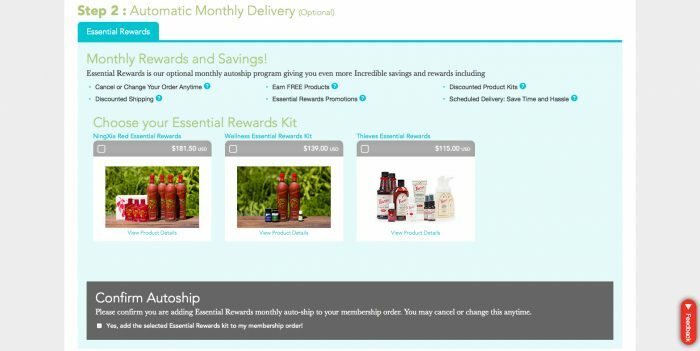 There is no requirement to sell a Young Living product, and there is no minimum to buy each month as a member. Step 4: Enter your personal information. Step 6: Create a username, password (with at least 1 uppercase, 1 lowercase and 1 number) and 4 digit PIN number. It's important that you write these things down so you can remember them as they will be needed to contact customer service and log in to place additional orders in the future. Step 7: Select your tax information choice. This information will only be used if you decide to enter the business side of Young Living. Step 8: Read terms and click "agree and continue." Step 9: Select your shipping method. 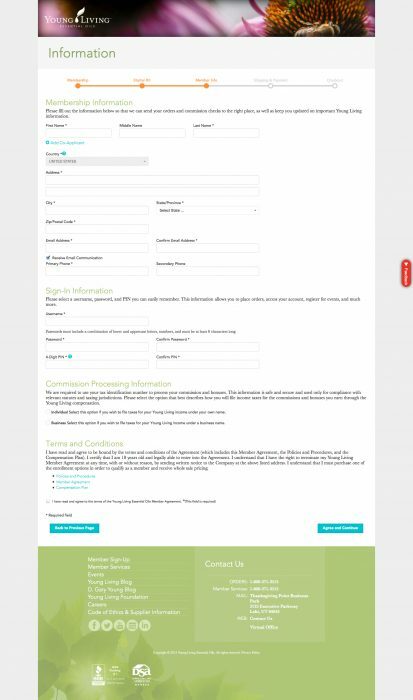 Step 10: Enter your billing information. Step 12: On the next page confirm your purchases. Your membership will stay active as long as you spend at least $50 in a calendar year. You don't have to continue to renew your membership. You will remain a member as long as you spend at least $50 a year. If you would like to take a look at the virtual catalog go here (Page 100 has all the starter kits listed).